The Gladiator Party Poker promotion returns this February, enter the battle Arena and win up to $5,000 by proving you have what it takes to be a poker champion. Prizes are awarded based on player participation over the thirty days of the promotional dates 1st February - 2nd March 2016. Play poker and earn the points target for as many days as possible to claim the biggest prize. 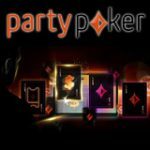 Win up to $5,000 in the Gladiator Party Poker promotion, opt-in and start earning points to win Gladiator freeroll tournament tickets and cash prizes. 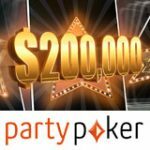 Players that opt-in at the start of the promotion must reach a minimum point requirement of at least one point for five of the promo days to claim a prize on 2nd March. 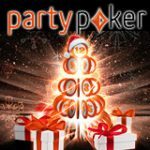 Opting in can only be done through the PC client of the Party Poker software however points earn on other platforms will count towards the promotion. Signup and claim your welcome bonus on first deposit. 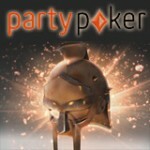 Opt-in for the Gladiator Party Poker promotion. See the table below for the point targets and prizes you can win in the Gladiator Party Poker promotion. 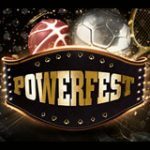 Players can only earn one prize during the promo dates and will receive the highest prize for the amount of points and days they participate in. Players aren't required to earn points for consecutive days of the promotion, earn point during the promotion dates: 1st February - 2nd March 2016. 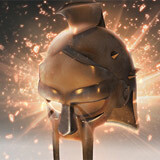 The Gladiator freerolls are scheduled to take place between 5th-6th March on PartyPoker. Enter the bonus codes below on the registration form when signing-up as a new player, use the relevant bonus code for your region or currency. 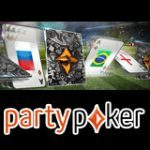 The latest Party Poker bonus codes for 2016.